Save for what you want, with who you want! Spiff is a free social savings-app that helps you reach your saving goals; big or small, solo or social. Saving doesn't have to be difficult or time consuming. Take control of your money right from your smartphone! Create and manage multiple saving plans from one dashboard - watching your money grow has never been easier or more satisfying! Spiff is the smartest saving tool you’ll ever use - it makes saving simple, social and fun! Spiff doesn’t cost anything and it has no hidden fees; you can deposit and withdraw money as often as you want without any cost. Decide what you’re saving for, set your target, save monthly or whenever, and choose if you want to save solo or together with others. View and manage all your savings, across your plans, all from your personal dashboard and see your progress directly in your saving plans. Some things in life are better together - invite friends or family to save up for common goals and share the experience. Use BankID for a secure and instant authentication process. Your money is safely stored with our bank partner, BN Bank. 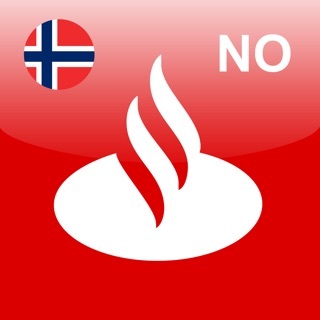 This means that all your savings are secured by the Norwegian Banks’ Guarantee Fund and you can access them whenever you want. All your savings are stored in your high-interest Spiff Savings Account, powered by BN Bank, which pays you an annual interest rate starting with your first krone. There’s no need to change your bank to use Spiff. Use your regular bank card. Set automated monthly savings to make sure you reach your goals in time. The monthly amount will automatically be transferred from your registered card to your Spiff Savings Account. Never lose sight of your saving journey! Spiff will notify you along the way to remind you about your progress towards reaching your goals. Discover how easy saving can be. Download the app, channel your inner savings guru and start your savings journey today! Help us build the savings app you want to use and tell us how you’re doing! We'd love to hear what you think about the app, be it good or bad, so that we can make it even better. Use the feedback form directly in the app or send us an email at hello@getspiff.no. We fixed an issue where the app would crash while creating a plan on some devices. Veldig bra design og enkel å bruke! Digger at man kan spare sammen med venner og familie uansett hvilken bank de har!